We generally stick to our own knitting here, but there’s cause for concern in the community of business over the story that led the Los Angeles Times’ issue of Dec. 27. If kids are not in school, they can’t learn. Students who attend class more often do better in school, and students who are chronically absent—meaning they miss at least 15 days of school in a year—fall behind. Think of Staples Center and there’s a good chance that the sweaty intensity of a Taylor Swift concert, the quickness and athleticism of a Los Angeles Kings ice hockey game or the solemn passion of Kobe Bryant’s recent numbers retirement ceremony will take center stage in your mind. Peter Guber was there in ’88. Dodger Stadium, Game 1 of the World Series, Los Angeles Dodgers vs. the Oakland Athletics. 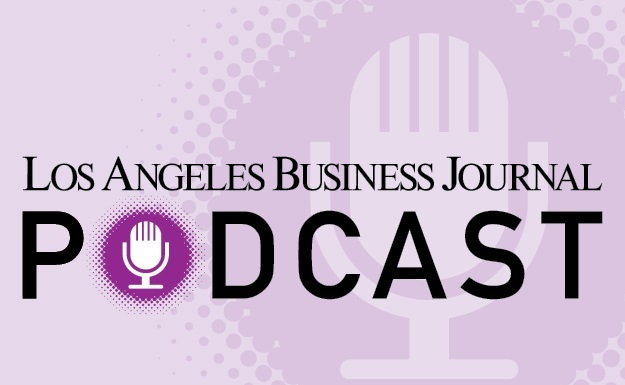 The Los Angeles Business Journal’s annual Book of Lists franchise recently added a new element – coverage of a theme that reflects the current pulse of business in Los Angeles. STYLE | Incubation Station: Mike Jones | Science Inc. The writing is on the wall for Mike Jones, co-founder and chief executive of Science Inc., a technology and startup studio that creates, invests, acquires and scales digital businesses. Faraday Future boss Jia Yueting no longer owns the company; Ziff Davis’ Vivek Shah on publishers’ e-commerce fever; and SpaceX rolls out Falcon Heavy. Upgrade for Long Beach business center. Hotel Figueroa makeover goes long. The Business Journal ended last year with a commentary that called for a new sense of dedication in three areas of civic life that intersect with our economy and community of business in fundamental ways: Housing, public safety, and homelessness. Can Guitar Center Find New Rhythm? Ratings agencies say Guitar Center out of rhythm. New rules costly for animal rendering operations. L.A. BioMed has ambitions for Torrance campus. NationBuilder brings principles of political organizing to private-sector marketing. Production company buys into Westlake. LeEco founder's assets seized as China pursues absent web mogul; Snapchat developing ‘Stories Everywhere’ outside the app; and TaskUs grows to more than 8,000 employees. On Wednesday, global asset management company TCW announced that Nippon Life Insurance acquired a 24.75 percent minority stake in the company. Nippon Life Insurance, a Japanese private life insurance company with $6.2 billion in profits, acquired its stake in TCW from the Carlyle Group (NASDAQ: CG), another minority owner of TCW. Gary Canter, co-owner and grandson of the founder of famed Fairfax eatery Canter’s Deli, died late Tuesday at age 58, according to statements from the restaurant and family released Wednesday on Twitter and Facebook. The Library of Congress will stop archiving all public tweets; LG is working with a mapping provider to create products for self-driving vehicles; and Amazon released details from the recent holiday shopping season. The Information Services Department at Children's Hospital Los Angeles was ranked among the best in the country, by Healthcare IT News, which publishes an annual list of the Best Hospital IT Departments in the U.S.
24Hr HomeCare Agent, Inc. Annenberg Foundation -Alchemy Tech Artkive ATOMS Movie, LLC Belkin International, Inc. BenjiLock, LLC BioMarin Pharmaceutical Inc. CareMore Chanje codeSpark Coding Autism Conduent Incorporated Creation Nation Cylance Inc. Earny Inc Elevate My Brand, Inc. Emagispace Enplug EZER Inc FabFitFun FloQast The Goldhirsh Foundation Heal Heartbeat Herbalife Nutrition Hixme IN GOOD CO JOANY Josh.ai LA Promise Fund Miso Robotics Moving Analytics, Inc. NEXT Trucking Paranotek, LLC ParkParkGoose Percussa Produce Pay, Inc. Reeelit Relobase See Jane Go, Inc. SellutionSkurt Inc. Solaborate LLC STAR IT Consulting Stasis Labs Stop, Breathe & Think, PBC Stripe Survios TravGanic UCLA Smart Grid Energy Research Center URB-E Vault Brokerage Vertebrae, Inc. Virtualitics, Inc. Wambi, LLC Workpop Inc X-naut Zwift, Inc.
A SpaceX launch of 10 Iridium satellites from Vandenberg Air Force Base lit up the Los Angeles sky on Dec. 22; WhatsApp is ending support for BlackBerry and Windows Phone 8.0 at the end of the year; and Fair.com is acquiring Uber’s Xchange Leasing and picking up 150 employees. Olive Hill Group LLC paid $117 million – $1,047 per square foot – for 520 Broadway, a six-story, 113,000-square-foot office building located in downtown Santa Monica. L.A. County’s unemployment rate fell to 4.5 percent in November and employer payrolls hit a record 4.5 million as retailers and other employers bulked up staff for the holiday season, state figures released Friday show. Arrowhead Pharmaceuticals Inc., which develops drugs to treat stubborn diseases by silencing the genes that cause them, reported it has filed for federal clearance to conduct to clinical studies of drugs aimed to treat liver disease and hepatitis B.
CNN cancels Snapchat show due to unclear path to profit; FabFitFun expands distribution with app for Apple TV and Amazon Fire; and Facebook and Universal Music strike multi-year licensing deal. Northrop Grumman and Lockheed Martin win swarming cruise missile development contract; GumGum to exceed $100 million in revenue in 2017; and founder of Timehop left Snap after less than a year. Boston-based private equity firm TA Associates has sold an eight-story, 89,000-square-foot office building at 898 N. Sepulveda Blvd. in El Segundo for $35.5 million, according to broker Newmark Knight Frank. Hawthorne’s renaissance continues unabated as the home to Elon Musk’s SpaceX saw eight industrial properties sold to Terreno Realty Corp. for $27.6 million. REIT Douglas Emmett Inc. paid $143.6 million – $981 per square foot – for 9401 Wilshire Blvd, a 146,000-square-foot office building in the city’s Golden Triangle area. Doctor’s paychecks across Los Angeles County swelled on average 13 percent this year, more than twice the national average, according to a national research study released this week, while job growth lagged far behind major U.S. cities. Universal Music Group (UMG), headquartered in Santa Monica, has entered a global, multi-year agreement with Facebook under which UMG becomes the first major music company to license its recorded music and publishing catalogs for video and other social experiences across Facebook, Instagram and Oculus. El Segundo toy company Mattel Inc. permanently laid off 70 employees earlier this month, according to a WARN notice filed with the California Employment Development Department. HappyReturns raises $8 million, Elon Musk accidentally posts phone number to Twitter; and Faraday Future’s Jia Yueting to become CEO and finds new financing. Now that Toyota Motor Sales U.S.A. Inc.’s massive campus in Torrance has been sold, real estate buyers are looking to the city and neighboring areas, commercial real estate brokers say. Developers with projects pending in Los Angeles and other companies with business in the city spent $16.2 million to lobby various city agencies during the third quarter, according to a city lobbying report released Tuesday. L.A. pressed juice company Juice Served Here Inc. has shut its retail stores and wholesale business, according to the company. Downtown’s Music Center Plaza will receive a $40 million facelift, the performing arts complex announced Tuesday, thanks to funding by Los Angeles County and the Music Center. Co-working firm Spaces grows L.A. County presence with 61,000-square-foot lease in Hollywood; CaliBurger launches facial recognition at restaurant; and Virgin Hyperloop One rebuffs a sale and instead took $50 million lifeline. Tronc Inc. Chief Human Resources Officer Cindy Ballard has resigned, the company confirmed Tuesday. Differential Brands Group Inc. has entered a partnership with Throat Thread Apparel to relaunch its premium denim line in Canada, the company announced Tuesday. An estimated 4.35 million passengers will pass through Los Angeles International Airport during the holiday season, up 0.9 percent from last year’s record 4.31 million, according to a holiday traffic forecast released Tuesday by airport officials. Good performance management practices could drive higher employee engagement levels, indicates new research conducted by HR.com in partnership with BambooHR, HR technology solutions provider. The research report, The Impact of Performance Management on Engagement, is based on responses from 880 HR professionals participating in a survey fielded earlier this year. Today’s HR leaders face unprecedented recruiting challenges. For second year, IBP Select connects U.S. exhibitors with international business, increasing opportunities for growth in new markets. First Foundation Inc. of Irvine announced Tuesday the acquisition of PBB Bancorp of downtown in an all-stock deal worth approximately $106 million. COPE Health Solutions, a national health care analytics company based in downtown Los Angeles, has expanded its student scholars program to include Hawaii, the company announced Tuesday. The number of intellectual property (IP) cyber theft incidents for the remainder of the year is expected to increase, according to 58 percent of respondents to a recent Deloitte poll. As the legal landscape continues to evolve in terms of intellectual property and licensing law, the Los Angeles Business Journal once again turned to some of the leading IP attorneys and experts in the region to get their assessments regarding the current state of IP legislation, the new rules of copyright protection, licensing and technology, and the various trends that they have been observing, and in some cases, driving. Co-working firm Spaces is taking space in Hollywood – its first lease in the famed Los Angeles neighborhood – as the Dutch company continues to expand in the Los Angeles and Southern California market, according to CBRE Group Inc.
Virgin Hyperloop raises $50 million and names Richard Branson as chairman, network infrastructure manufacturer acquired and SoftBank looking to invest up to $300 million in Wag. Downtown’s City National Bank expanded the headcount of its newer food and beverage group to 16 bankers, the company announced in a statement today. The $14 million sale of a century-old, seven-story office building in the Jewelry District to a developer with plans for offices, restaurants and an art gallery will continue the trend of change in downtown Los Angeles. Platinum Equity announced Monday the acquisition of Husky Injection Molding Systems for $3.9 billion from Berkshire Partners and OMERS Private Equity. La Mirada–based Damac Products, makers of network infrastructure equipment for the telecom and data center markets was acquired by Maysteel Industries, the companies announced Monday. Terms of the deal were undisclosed. MemorialCare Health Services and RadNet Inc. have founded a joint venture to operate what they say will be the largest outpatient medical imaging network in Los Angeles and Orange counties, the companies announced Monday. As this year draws to a close, the Business Journal asks: Did your business hit its mark in 2017, exceed expectations of come up short? El Segundo-based Genesis KC Development, a subsidiary of HealthCare Partners of El Segundo, has acquired a medical office building in Covina for $10 million in what brokers say is one of the year’s larger medical building sales to an owner/user in the state. Highest assessed properties saw changes. Retailers are using smartphones rather than cash registers, and replacing inventory for purchase with new items for testing. Startups endure a 90-day business boot camp at Cedars-Sinai, Techstars accelerator. Military drone maker AeroVironment Inc.’s stock rose 26 percent to $54.47 a share – an all-time high – on Dec. 6 after the company posted strong quarterly sales and profits driven partly by U.S. military demand for its kamikaze drone, named the Switchblade. Customized shipping containers replace soil for lettuce grower. How L.A. County cities fared in an annual survey on the costliest cities for businesses. This is the final issue of the Los Angeles Business Journal’s weekly edition for 2017. No surprise that personal style rules for Beatrice Fischel-Bock, co-founder and chief executive of Hutch, an ecommerce company that offers an app for online furniture shopping to aid clients in finding a style of their own. Torrance biotech firm begins sales of first new sickle cell drug in decades. After years of losses, Leaf Group has a plan to grow again with a new CEO. A large South L.A. property sits in the middle of a fight between its owner and L.A. County. More than eggs are growing at the Beverly Hills-based fertility clinic. Reproductive service centers grow business thanks to influx of Chinese clients. Public works’ construction projects gained the most city dollars this year for companies that contract with the city of L.A.
A great irony could be in store for Los Angeles in the wake of Rupert Murdoch’s agreement to sell much of 20th Century Fox in a $52.4 billion all-stock deal struck with Walt Disney Co. Whether you live in Los Angeles or build here, there are many new demands on your residential experience. LYMI Inc., doing business as clothing label Reformation, raised $25 million in Series B funding last week. To help save hundreds of millions during a large-scale company overhaul, Molina Healthcare has scrapped plans to move into a San Pedro office tower and is now vacating an office building in Long Beach. Carson-based Southwind Foods has reached an agreement to purchase all of the assets of Desert Gold Inc., the companies announced Friday. Terms of the deal were not disclosed. Economy Mexican airline Viva Aerobus on Thursday launched daily flight service from Los Angeles International Airport to Guadalajara Airport in the Mexican state of Jalisco. SpaceX launches Dragon on used Falcon 9; Cigna acquires Brighter for undisclosed amount; and TrueCar settles lawsuit with car dealer association. California New Car Dealers Association announced on Thursday that it settled its lawsuit against TrueCar Inc.
Puma Biotechnology Inc., whose breast cancer drug drew millions in sales since it was released last summer, has been added to the Nasdaq Biotechnology Index. Cigna Corp. Acquires Santa Monica–Based Digital Health Technology Company Brighter Inc.
Insurance giant Cigna Corp. has acquired Brighter Inc., a digital health technology company based in Santa Monica, for an undisclosed sum. New York–based Deutsche Asset & Wealth Management has acquired Campus 2100 in El Segundo for $117 million, or about $574 per square foot, according to CoStar Group Inc.
Walt Disney Co. has agreed to buy 21st Century Fox for $52.4 billion, Disney announced Thursday. Disney to Gain Control of Hulu after 21st Century Fox asset acquisition, TrueCar settles lawsuit with California New Car Dealers Association and Lily raises $2 million for personal stylist. Two of the 10 biggest hotel transactions in the U.S. this year involved L.A. properties, according to a list published yesterday on Santa Barbara real estate technology firm Yardi Systems Inc.’s blog Commercial Café. Curisium, a Manhattan Beach–based start-up company that allows health care systems and biotech firms to contract through blockchain technology, has raised $3.5 million from investors, officials announced Thursday. Kaiser Permanente is donating $600,000 to support recovery efforts for some of the worst wildfires to rage through Southern California. Online bank Aspiration raises $47 million; Dreamscape Immersive partners with Nickelodeon for virtual reality project; and Sophia Amoruso’s digital media firm Girlboss raises another $2 million. The Los Angeles City Council on Wednesday approved the imposition of linkage fees on developers of new residential and commercial projects to generate revenue for an affordable housing fund. Less than a week after being named LA Weekly’s interim editor, Hillel Aron has been suspended for prior offensive tweets including posts about race, sexual orientation and body weight. Arrowhead Pharmaceuticals Inc., which develops drugs to treat stubborn diseases by silencing the genes that cause them, reported a fiscal 2017 year-end loss of $34 million, down 58 percent from a year ago. Westfield Corp., owner of the Westfield Topanga & the Village in Woodland Hills, was acquired by French commercial real estate firm Unibail-Rodamco for $16 billion, the companies announced Tuesday. Miso Robotics hires COO to help expand restaurant installations; NASA sees equivalent risk of launching used SpaceX rocket booster; and satellite data analysis startup Slingshot Aerospace raised $3.25 million. Providence St. Joseph Health, which runs 14 hospitals in Southern California, is in talks to merge with Ascension Health to create the nation’s largest hospital chain, according to the Wall Street Journal. The largest health insurer in the U.S. will buy DaVita Medical Group of El Segundo, one of the nation’s largest physician groups, for $4.9 billion. Soylent founder to step down from CEO role; Snapchat is trying to make inroads with advertisers in China; and SpaceX to launch used booster and spacecraft. Mid-Wilshire entertainment industry marketing agency Mob Scene announced two senior level promotions Monday. Widespread allegations of sexual harassment and assault have surfaced in the business and political worlds over the past several months, so the Business Journal asks: Is your company planning to update its workplace sexual harassment policies or hold additional training? In the midst of a social media-fueled protest and boycott targeting LA Weekly’s controversial new ownership, the publication has named staff writer Hillel Aron as interim editor. The California Department of Tax and Fee Administration is offering tax relief to businesses impacted by the fires in Southern California, according to an announcement from the agency on Friday. Snapchat gets up to $1 million a day for branded augmented reality; K1 invests $200 million in SecureAuth; and Disney adds tech execs to board. Biotech giant Gilead Sciences Inc. and its Kite Pharma Inc. subsidiary in Santa Monica are buying Cell Design Labs Inc. for up to $567 million as the battle to develop cancer-targeting cell therapies heats up. Camerata Pacifica chamber orchestra has announced a $1.25 million bequest from Santa Barbara resident Bernard Gondos, a pathologist, amateur violinist and longtime Camerata supporter who died in January. T Group Productions will acquire digital house Big Boots Studios, the companies have announced. West Los Angeles-based Warehouse Exchange has struck a deal with a group of logistics companies to extend its “airbnb”-like warehouse rental platform nationally and internationally. As 2017 comes to a close and we look back on the policy and business issues that took center stage locally and statewide, perhaps the most important among them was the attention given to our housing shortage and affordability crisis. There’s a rush to get a tax bill passed in Washington, D.C., where President Donald Trump sits atop a Republican Party anxious for something – anything – to take home for the holidays. John Tabis | Bouqs Co.
Santa Monica-based Miramar Capital Advisors has acquired Redondo Beach Business Court, a 124,400-square-foot office building and separate day-care facility for $36.7 million. List Story: Moderate uptick for property and casualty insurers. Recent declines in aerospace employment in Los Angeles County could be offset in coming years by growth at innovative startups as well as legacy aerospace firms. NSBN in Century City will be absorbed Jan. 1 by Minneapolis-based CliftonLarsonAllen, according to the local accounting firm’s Managing Partner Ken Miles. Kohler’s next-gen commodes and fixtures get West Hollywood showroom. Best wishes to any and all of the individuals, families, businesses and other entities affected by the recent wildfires that have hopscotched the region. Nearly 1 million square feet of cold storage space trades in Vernon to growing warehouse company. Georgia tech company buys Torrance aerospace firm. Social media boycott spells trouble for new owners of L.A. Weekly; leads to event cancellation. Times Square Feel for Downtown? Developers’ bold vision around DTLA’s convention area aligns with city’s push to increase hotel rooms. With more cargo heading into space, one company hopes to standardize how to fit it all into rockets. Holidays, Santas and customers’ preference for real beards help bring feet to retail centers. LA Weekly’s Sips & Sweets Festival, scheduled for Thursday at the Petersen Automotive Museum, was canceled abruptly as a boycott campaign targeting the publication’s new owners spread. Businesses across Southern California, from insurance companies to animal hospitals, are lending support to those affected by wildfires raging across Ventura and Los Angeles counties. Professionals finding gigs in the L.A. metro area through local services website Thumbtack said they have more confidence in their business and the economy in the near future than the nationwide average, according to a study released Wednesday by the San Francisco company. Los Angeles County has taken steps to seize a blighted lot in South Los Angeles for development against the objection of a property owner planning to build an entertainment village. French shipping line CMA CGM has completed the sale of Global Gateway South, the third largest terminal at the Port of Los Angeles for $875 million. CrossCut Ventures raises $125 million, Prevoty secures $13 million in Series B round led by Trident Capital Cybersecurity and would Disney, with control of Hulu and Fox Studios, have formula for a Netflix killer? The Los Angeles City Council passed three ordinances Wednesday that will regulate the licensing and operation of cannabis businesses, effective immediately pending the Mayor’s signature. 24Hr HomeCare Agent, Inc. Annenberg Foundation - Alchemy Tech Artkive ATOMS Movie, LLC Belkin International, Inc. BenjiLock, LLC BioMarin Pharmaceutical Inc. CareMore Chanje codeSpark Coding Autism Conduent Incorporated Creation Nation Cylance Inc. Earny Inc. Elevate My Brand, Inc. Emagispace Enplug EZER Inc. FabFitFun FloQast Heal Heartbeat Herbalife Nutrition Hixme IN GOOD CO JOANY Josh.ai LA Promise Fund Miso Robotics Moving Analytics, Inc. NEXT Trucking Paranotek, LLC ParkParkGoose Percussa Produce Pay, Inc. Reeelit Relobase See Jane Go, Inc. Sellution Skurt Inc. Solaborate LLC STAR IT Consulting Stasis Labs Stop, Breathe & Think, PBC Stripe Survios The Goldhirsh Foundation TravGanic UCLA Smart Grid Energy Research Center URB-E Vault Brokerage Vertebrae, Inc. Virtualitics, Inc. Wambi, LLC Workpop Inc. X-naut Zwift, Inc.
Patrick Soon-Shiong Innovation Awards 2017: FINALISTS - POLIS ASSIST, INC.
Polis Assist is a mobile parking app helping people to find free parking, decipher complex signs all over Los Angeles and avoid or defend parking tickets that are unlawful. California is poised for an economic growth spurt next year that will likely peter out as a federal tax bill slows housing construction and rising housing costs make it harder for employers to recruit qualified workers, according to a UCLA economic forecast released Wednesday. Patrick Soon-Shiong Innovation Awards 2017: FINALISTS - MY MOBILE WATCHDOG, INC.
As children with cell phones become younger and younger, it has become increasingly more important for parents to monitor their mobile phone use in order to keep kids safe from predators and bullying. In the wake of last week’s mass layoffs at LA Weekly by its new owner, a boycott campaign spreading over social media has businesses pulling ads and removing themselves from the sponsor list for an upcoming LA Weekly event. Valencia-based Captis Intelligence, a company that claims its software helps identify crime suspects, announced a national partnership with Rite Aid Corp. today. The one-year deal covers all Rite Aid’s 4,621 stores across the country, Dario Brebic, president of Captis told the Business Journal. HyperSight is a Sofware-as-a-Service (SaaS) company in the automotive industry that leverages digital technologies such as augmented reality, artificial intelligence, data analytics and machine learning to create engaging and futuristic customer experiences. In 2017, everyone’s interactions with businesses are growing exponentially. Dock is building a revolutionary innovation that is sure to resonate with the parking-space starved people and businesses of Los Angeles. Hyperloop One Co-Executive Chairman Shervin Pishevar takes leave of absence, Ziff Davis to close Mashable acquisition for $50 million and lay off 50 people and Relativity Space aims to 3-D print entire launch vehicles. El Segundo mortgage company Venture West Funding Inc. announced Tuesday it arranged nearly $51 million in loans to refinance two newly-constructed apartment buildings totaling 120 units. CUJO LLC provides a plug-and-play smart home security device that protects the connected home from the virtual intrusions, such as malware, viruses, and hacking techniques. Contour Crafting is a mega-scale 3D Printing technology for fabrication of large-scale structures directly from computer models. VNTANA is an Augmented Reality computing platform designed to help Chief Marketing Officers create engaging experiences, generate leads, and convert sales by tracking data to quantify engagement. ObEN is the first to combine artificial intelligence technology in speech, computer vision and natural language processing to create a complete virtual human that looks, talks and behaves like its human counterpart. Klickly’s proprietary technology is the first and only platform that lets people purchase (with one touch) directly within ads, emails, and social media. Having developed and distributed immersive cinematic realities in order to pioneer the evolution of new media, Jaunt is a key supporter of the category as a whole. AirMap is a trailblazing leader in the creation of technology utilized in unmanned airspace. Air China announced Monday a new route between Los Angeles International Airport and Shenzhen, China. Boring Co. reveals proposed map of tunnel under Los Angeles; Falcon Heavy to carry a Tesla Roadster for maiden launch; and IMDbPro launches iPhone app for entertainment industry professionals. The Los Angeles Times editorial staff has taken the next step in its plan to unionize. Wolf Connection serves at-risk populations in Los Angeles County, and wolf/wolfdog welfare and rescue nationwide. Aerospace employment in Los Angeles County dropped by 3,000 jobs, or about 6 percent, to 51,000 between 2014 and 2016, according to a report released Monday from the Los Angeles County Economic Development Corp.
Olive Crest serves children and families each day throughout California, Nevada and the Pacific Northwest. The Leukemia & Lymphoma Society funds lifesaving cancer research here in Los Angeles and around the world and provides free information, support services and direct financial assistance to patients and families living in Greater Los Angeles County. Stadium and rail line projects are underway in Inglewood, and property values are on the rise. So the Business Journal asks: Would you consider buying residential property in Inglewood? Toyota Motor North America Inc. announced Thursday that it will build its first large-scale natural gas-powered plant to help support its operations at the Port of Long Beach. Habitat for Humanity of Greater Los Angeles (Habitat LA) covers two-thirds of Los Angeles County. Since 1990, Habitat for Humanity of Greater Los Angeles (Habitat LA) has strengthened low-income communities, covering two-thirds of Los Angeles County. Intrepid Investment Bankers of Brentwood helped broker a $1.1 billion dollar deal on behalf of client RSI Home Products Inc., the firm said Friday. L.A. County transportation officials unveiled Thursday a plan to fast-track eight transportation projects to bring them to completion by the 2028 Summer Olympic and Paralympic Games. City of Hope National Medical Center appointed this week cancer researcher Dr. Michael A. Caligiuri as president and head physician. Boardriders Inc., whose largest shareholder is downtown-based Oaktree Capital, has put in a takeover offer for rival Billabong International Ltd., valuing the latter at $150 million. There’s a new restaurant opening in town…minus the restaurant. Puma Biotechnology Inc. of West Los Angeles has made its first foray into Asia. Regent adds to media portfolio with Sunset magazine. Laker Nation finally has an official team podcast. Electric vehicle battery pack maker Romeo Power is charging up production at its newer 113,000-square-foot assembly facility in Vernon. There’s no disputing that the Rams are looking good at 8-3. Mid-Wilshire-based real estate firm CIM Group Inc. will soon need a new name for its luxury SoHo hotel/condo hybrid in New York, currently called Trump SoHo, now that the company has announced it will buy out the Manhattan-based Trump Organization’s management and licensing contract for the building. Hot hotel market means new life for some old office buildings. Regulations, complaints by residents point up the other price of oil in L.A.
Foreign investment into L.A. properties deepened last month with a South Korea-based company’s purchase of the DreamWorks headquarters in Glendale, a deal which seems to shed some light on an increasing trend toward prime assets. How domestic drone makers can fly above offshore competitors. MemorialCare Health System planned to spend $16 million for seismic retrofitting on top of the undisclosed price it paid for the bunch of century-old buildings at a hospital campus in Long Beach six years ago. Those plans crumbled when an active fault was found running beneath the 18-building, 158-bed Community Medical Center Long Beach. Let’s start with an acknowledgment that sports claim an outsized share of the media’s attention, especially if viewed through the lens of business. U.s. Representatives Darrell Issa (R-49) and Scott Peters (D-52) recently engaged in a refreshing show of bipartisanship, appearing together at the most recent San Diego Comic-Con to discuss the importance of a strong technology sector.